This is a good development for video Canon EF lens users. I use 6 EF lenses with my 60D for video. “Anyone who has shot video with a Canon DSLR recognizes that smooth iris pulls are impossible while recording with Canon’s EF lenses. 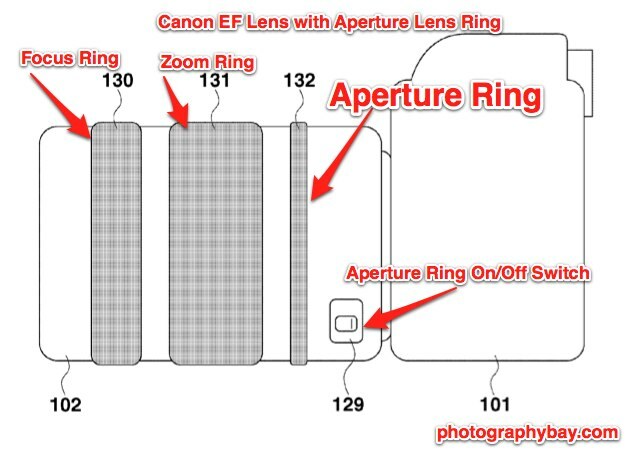 In one of the more interesting patent applications of late, Canon revealed that it is working on new lenses with aperture rings for adjusting aperture settings during video capture. The new lenses with aperture rings utilize electronic control of the lens diaphragm rather than a mechanical aperture ring of yesteryear. Read the full article at their site. Tagged Canon Lens. Bookmark the permalink. The comment above is about a totally different system for controlling aperture on Canon lenses. The product is from Redrock Micro to control the electronic aperture on EF lenses for Micro Four Thirds cameras. After having spent cash on a high quality digital camera which includes lenses and so on, it will be necessary to truly take good care of it. Through good care of the digital camera, it will serve you nicely for a longer time. Thanks for the info There is a terminology that one must be familiar with to begin with when dealing with Canon lenses. Some of the terminology is unique to Canon. Other camera manufacturers have their own also. Canon and Nikon are the most widely used camera makes. Lenses might be classified as either prime or zoom lenses. Prime lenses contain a fixed focal length. Zoom lenses make use of a variable focal length. The quality of photos you want plus your budget determine the types of lenses you will purchase.